How Inspiralized Founder Ali Maffucci Cooks Up A Life She Loves — people who do. The founder of Inspiralized opens up about the sacrifices of entrepreneurship, the importance of community and how Doing allows her to create a life she loves. Ali Maffucci—my married name is Cerda, though, so depending on who I'm talking to, I'm Ali Maffucci or Ali Cerda. I'm the founder of Inspiralized, the brand dedicated to cooking healthfully with the spiralizer, the kitchen tool that turns veggies and fruits into noodles. 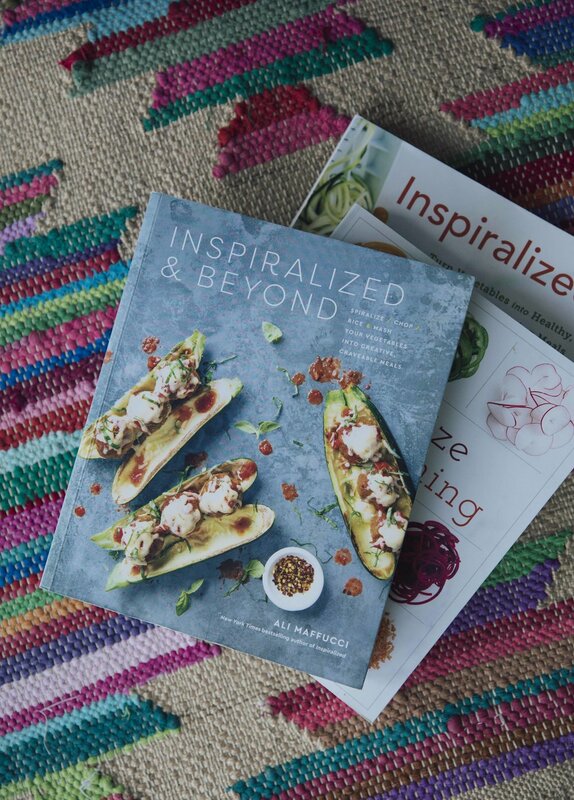 The brand consists of New York Times best selling cookbooks, a mobile recipe app, a food blog updated with new recipes and content, and a branded spiralizer tool called the Inspiralizer. It's important for me to "do" me, because I want to love life. I want a life filled with happiness and gratitude as much of the time as possible. For me, doing what I do enables me to be a more compassionate, genuine, giving, and fulfilled person. I'm a better part of my community, my family, and my marriage when I'm doing what I do. Professionally, becoming a New York Times best-selling author. The section of this list that cookbooks are included in is extremely competitive and to have made the list is humbling and a testament to my hard work and talent as a recipe creator and writer, as well as my publisher's vision and faith in me. It's the industry's "stamp of approval" or success marker and I'm proud to have done it twice. Personally, surviving motherhood so far as an entrepreneur! What would you say was your top goal when you started Inspiralized? At first, I was more focused on the tangible wins—publishing a cookbook, creating my own spiralizer product. I thought those were the markers of success, but now, my top goal is to foster a community that's inclusive, supportive, inspiring, and a place where people come to better themselves. How has starting your own business changed you? I was always a self starter in my roles in the corporate world, but since owning a business, that trait of mine has strengthened. I'm more resourceful, patient, motivated, and have learned great tools for time management and prioritization which really help, especially in motherhood...and general adulting, haha! It's also made me a more proud and confident person. Running a business is no joke, and I'm honored to be part of the entrepreneurship crowd! ‘There's a solution to every problem”. Well, we're only one month in, so that's tough, but I'd have to say that it's okay to let control go. I struggle with that as a mother, but a couple of instances so far this year has taught me that lesson. What's one thing you would tell someone who's starting their own business? If you aren't willing to sacrifice your personal time (both with yourself, friends, and family), entrepreneurship is not for you. Be very upfront with those around you that you're starting on this new journey, so they're warned up front and they'll be more understanding. This changes all the time, right now it's anything Post Malone. Evernote and Reminders in my iPhone! My mom, Sara Blakely, and Buffy Summers, the character. If you want to fly, let go of what weighs you down. Balancing Inspiralized with a new baby on the way, coming the end of June! I'm working on some new products, and a fun cooking show with a special co-star. I just want people to say I was genuine, kind, and inspiring, no matter what inspiration I brought them.